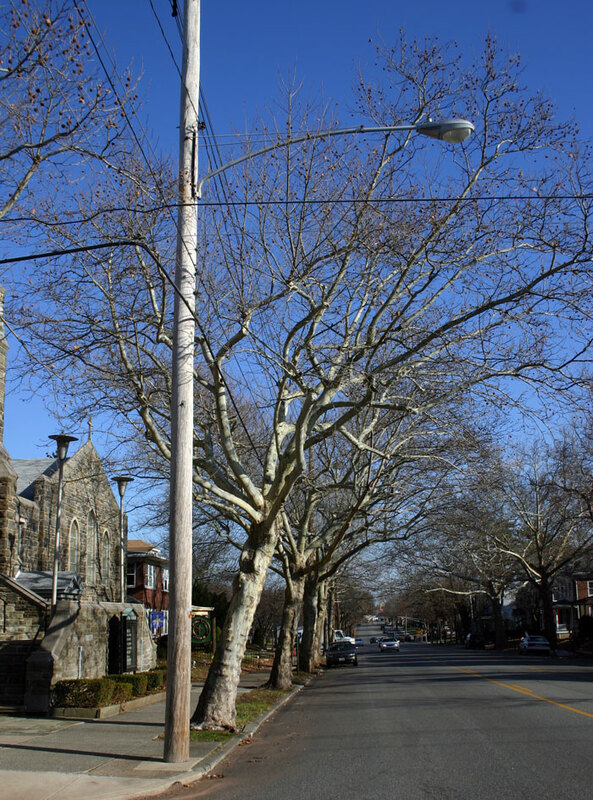 Trees can coexist well with utility wires to “camouflage” the poles and wires while assuring safe and reliable electric service. What needs to be done? 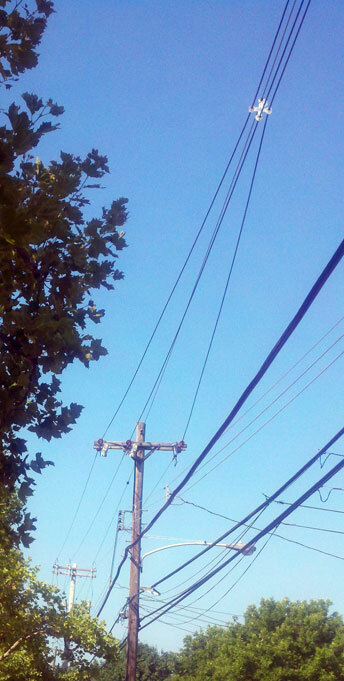 In urban areas, poles with crossarms need to be replaced with “bundled” wires using spacer cables. Thanks to bundled wiring, this maple tree is growing up and around the electric line. 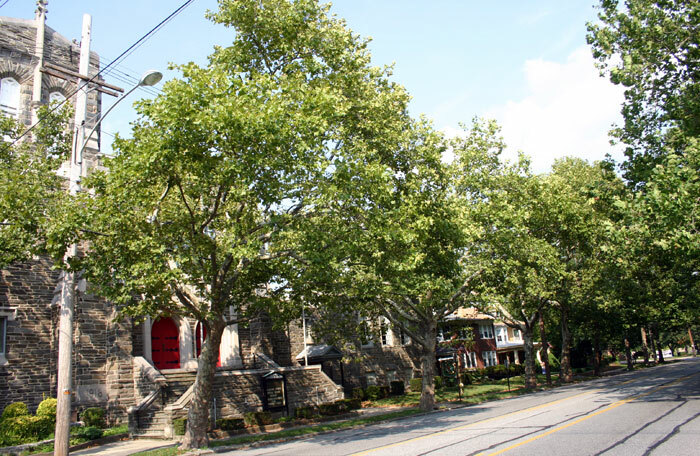 If there were a number of these trees in a row, the utility line would be almost invisible from the street. 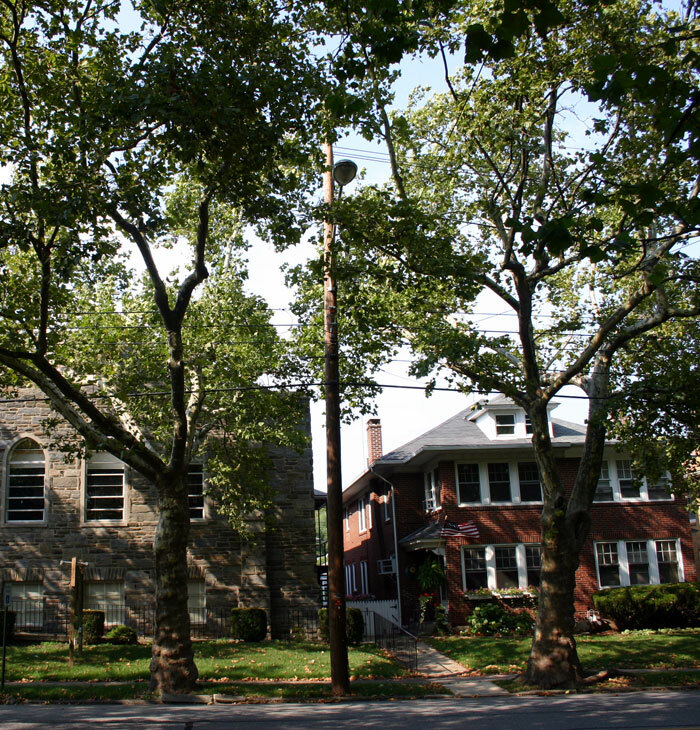 The photo above and those below show the same trees in both winter and summer. 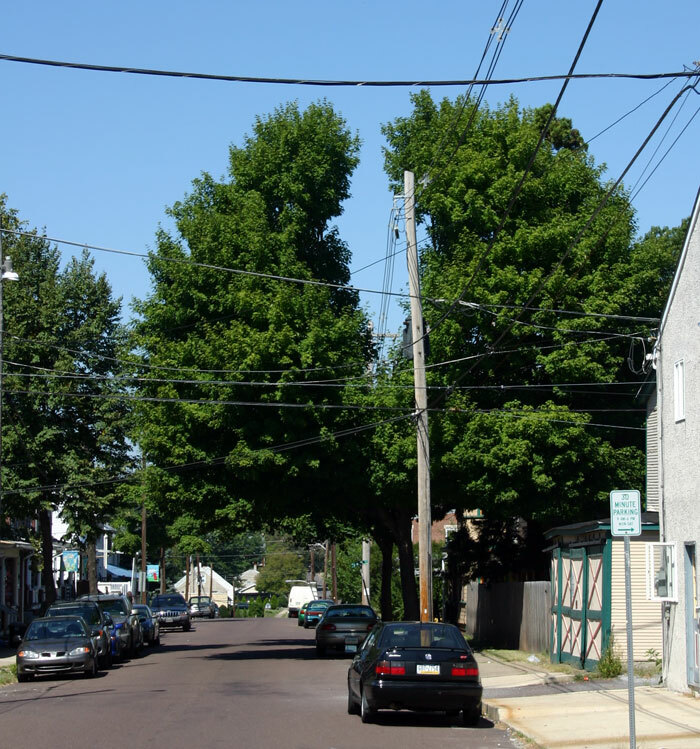 They demonstrate how trees can hide utility wires throughout the year. 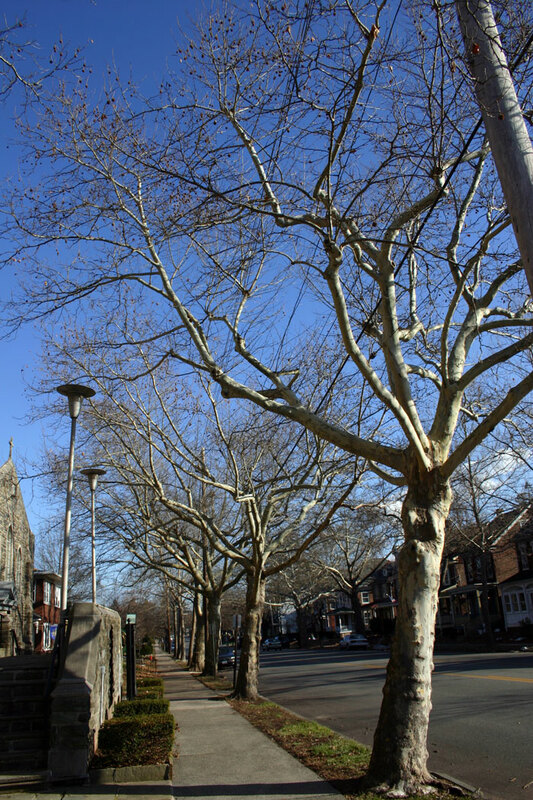 Because the tree limbs have been allowed to grow up and around the power lines, it is difficult to see them from the street.